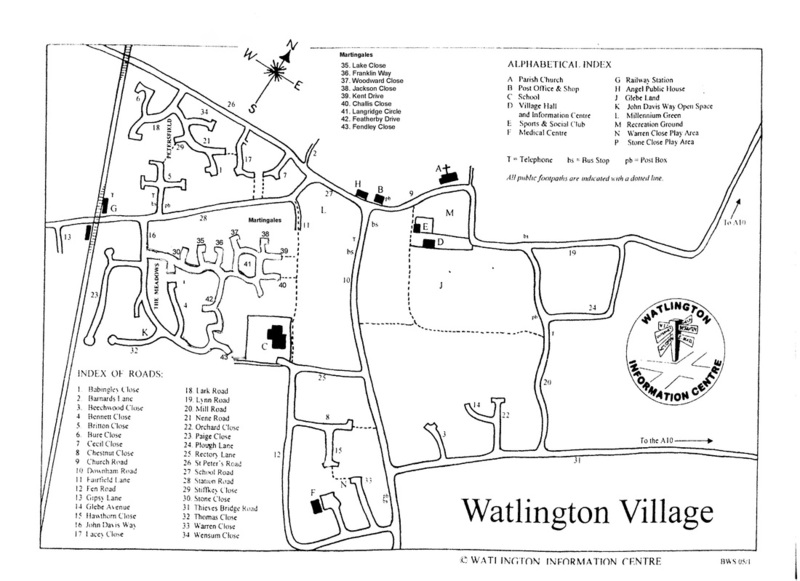 The Google map below shows all the main locations in the village. Unfortunately the satellite image needs to be re-taken as you will no doubt notice that the Martingales Estate is shown at a very early stage of development. The red lines show local footpaths.